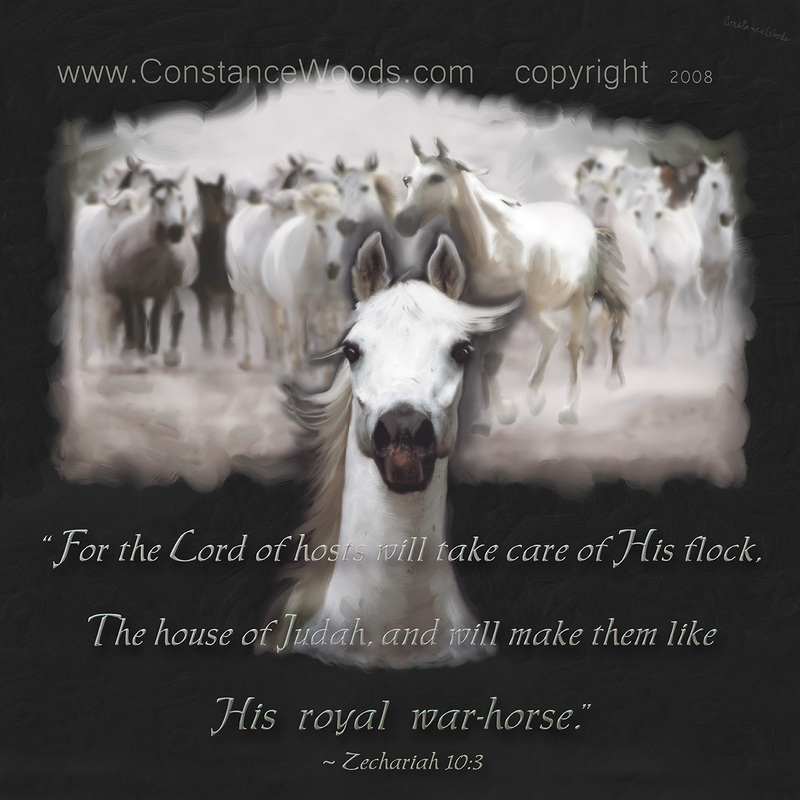 "For the Lord of hosts has visited His flock, the house of Judah, and will make them like His royal war-horse." Inspiration: In a dream, a white horse came to me and spoke things to me. A week later, my husband also had a dream in which a white horse talked with him. As I sought the Lord for understanding, He led me to Zechariah 10. Revelation: God is exposing everything in His people that hinders the fullness of the victorious and pure bride. He is set on raising up a people to serve and praise the Lord of hosts. The worshippers lead out the army as mighty "royal war-horses" declaring Adonai is worthy to be praised!